John D. “DJ” Gardner, 71, of Butler passed away Wednesday February 6, 2019 at the Grove at Harmony in Harmony, PA.
Born January 30, 1948 in Butler, he was a son of the late John H. and Rose L. Wood Gardner. DJ worked for the B&O Railroad as a railroad brakeman for many years than served as a bartender. He was a veteran of the United States Army where he proudly served in Vietnam, earning a Bronze Star. DJ was a member of the American Legion Post #243 in West Sunbury, PA where he served as Sergeant- At- Arms. He enjoyed playing baseball well into his adult years and umpired up until just recently. He also enjoyed hunting, riding his Harley Davidson and watching Jeopardy. Surviving are his two sons: Thomas (Lindsay) Gardner of Butler, and John (Jennifer) Gardner of Mission Viejo, CA. His two daughters: Katie Whitmire of McKeesport and Rebecca Wright and her spouse Andrew Miller of Pittsburgh. Ten grandchildren: Jewely, Clayton, Abby, Jacob, Lily, James, Jack, Greyson, Joseph and Quentin. A brother, William (Gladys) Gardner of Burbank, CA. And a sister, Sherry Braithwaite of Berkeley Springs, WV. His nephew, David (Shawn) Noblit of CO. 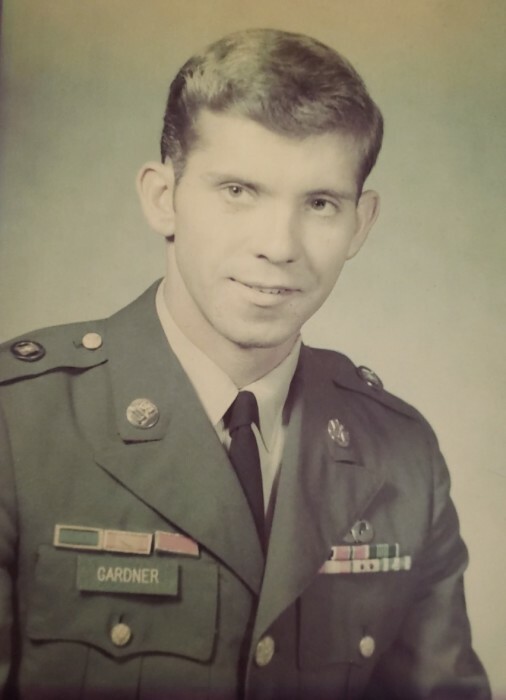 In addition to his parents, he was preceded in death by a brother, Gerald “Jud” Gardner. There will be no public visitation per his request. A Service with Military Honors will be private at the convenience of the family. Arrangements completed by the Geibel Funeral Home, 201 East Cunningham St. Butler, PA 16001.